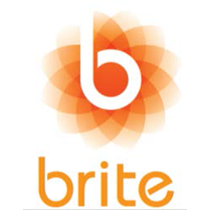 The BRITE Transit Advisory Committee is seeking a committed and engaged rider representative. The BTAC is a group of stakeholders dedicated to improving BRITE bus service in the areas of Staunton, Augusta County, and Waynesboro. This is a volunteer position, and representatives should attend and actively participate in meetings. The BTAC meets bi-monthly at the Central Shenandoah Planning District Commission Office, 112 MacTanly Place, Staunton. In the expression of interest, please include what routes you ride, why you ride, and how often you ride. Also, include other community organizations that you are apart of. The selection of the rider representative will be considered by members of the BTAC, who may want to talk in person. The BTAC ensures nondiscrimination and equal employment in all programs and activities in accordance with Title VI and Title VII of the Civil Rights Act of 1964. If you have questions or concerns about your civil rights in regard to this program or require special assistance for persons with disabilities or limited English proficiency, please contact BTAC at 540-885-5174. Sign language or non-English language interpreters will be provided if needed and requested in advance of any meeting by contacting the BTAC.